As the highest ranked (9) player in the field, sportsbooks have pegged Rickie Fowler as the favorite to win the 2017 FedEx St. Jude Classic at TPC Southwind in Memphis, Tennessee. The winner of the 2017 Honda Classic tied for second place at the Memorial Tournament – his top-five finish of the season. Fowler lost to Jason Dufner by only three shots. He finished tied for 13th in his first and so far only appearance in the St. Jude three years ago. Fowler will not be the only one vying for the winners’ circle, as we can see below. The Aussie golfer has had three top 10 finishes this season – T9 at the SMBC Singapore Open, T9 at the Masters Tournament, and T6 at the Players Championship. However, he is coming off a tie for 31st in the Memorial Tournament. Scotty will be looking for a disappointing performance in the St. Jude Classic ten years ago when he placed 7th with a disastrous final-round 75. 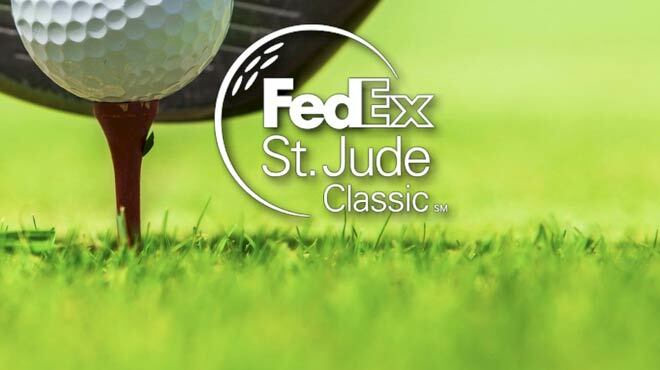 The 2016 FedEx St. Jude Classic winner has three top 10 finishes – including a solo 5th place at the Shell Houston Open. Berger defeated Brooks Koepka and Phil Mickelson by three shots last year with a 13-under-par total of 267 to win last year’s edition of this tournament, his only PGA Tour event win hitherto. It is also worth noting that only Dave Hill, Lee Trvino, and David Toms have won this tourney back-to-back. Palmer’s recent overall performance alone would be enough to fill sportsbooks’ users with confidence, but his performances at TPC Southwind in particular may be. He has top-25s in three out of his last five starts in Memphis, including a tie for third place in 2012 and a fourth-place the following year. Additionally, Palmer has captured top-11 finishes in three of his last five outings, including a sixth-place showing at the Valero Texas Open. English finished tied for 29th at the Dean & Deluca Invitational which, considering he had missed four consecutive cuts, could be considered a return to form. English won the 2013 FedEx St. Jude Classic. Lefty has been a runner-up in the St. Jude Classic on two occasions; 2013 and 2016. Micks has had one top 5 and one top 10 finish this year – tying for 5th place at the WGC Dell Technologies Match Play and for 7th at the WGC Mexico Championship. Could it be that the third time will be the charm for Mickelson and he will win the 2017 FedEx St. Jude Classic? The World No. 1 will most certainly not win this tournament, seeing as how he is not in it.